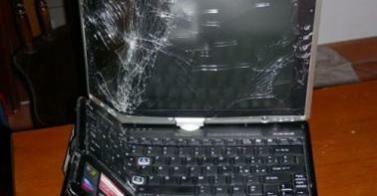 Experienced and certified we repair laptops in Cape Town. Laptop tech support and laptop servicing available for all makes, models, and sizes of laptops, notebooks, e-book and ultra books. But due to their compact design, they’re significantly susceptible to damage and require intricate repairs. Laptops especially when they are broken or get wet pull out the battery and call us the parts are minute and are delicate and the intricate cooling for theses devices one drop hidden away when you think its dry will end its life for good the same goes for a hard drive after a drop if you see its failed and you need the data don keep trying call an expert…. When to Find Professional Laptop Repair-Service The common problems experienced with notebooks are both technical and software-related in nature….yes both……..Often heating has not been serviced and when this happens it overheats and your data becomes corrupt causing errors and what we call the blue screen of death. When obvious physical problems and defects like motherboard failures, power failures, broken screens, etc. then that is the time for you really to call Virtual It Solutions 021 419 3213 for the best prices on laptop repairs. Virtual It Solutions Providess high quality laptop and computer repair services and parts at affordable prices with free diagnostics, we offer laptop-collection and -delivery, makes for the perfect solution for your laptop related problems. We offer complete laptop repair solutions. Fixing all major brands of laptops such as HP, Compaq , Sony , Dell , Toshiba, IBM, Lenovo, Alienware, Samsung and other low cost laptops. For Cape Town laptop repair, same day computer repair service is usually available. To schedule an appointment for Laptop Repair Cape Town, contact Reuben today! 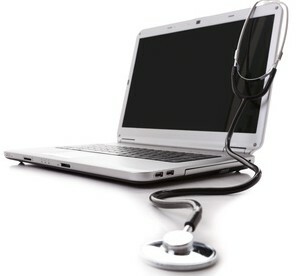 We offer complete laptop repair solutions. Fixing all major brands of laptops such as HP, Compaq , Sony , Dell , Toshiba, IBM, Lenovo, Alienware, Samsung and other low cost laptops. Contact Reuben for help with your Laptop Repair Cape Town!